On July 31, 2018, the Centers for Medicare & Medicaid (CMS) released the Prospective Payment System (PPS) and Consolidated Billing for Skilled Nursing Facilities (SNF) Final Rule for FY 2019, SNF Value-Based Purchasing Program, and SNF Quality Reporting Program. Adjusts the resulting rate by the value-based incentive payment amount earned by the SNF for that fiscal year under the SNF VBP Program. The overall economic impact of this final rule is an estimated increase of $820 million in aggregate payments to SNFs during FY 2019. As you are aware, the current RUG IV payment model is based on one Resource Utilization Group (RUG) for payment. For Medicare A resident payers, approximately 90% of the RUGs fall into the rehabilitation RUG. CMS states in this final rule that the current “resident classification under the existing therapy component is based primarily on the amount of therapy the SNF chooses to provide to a SNF resident.” Due to these concerns, the Medicare payment classification system will change as of October 1, 2019 to a more resident characteristic and care need system that CMS proposes will reduce both systemic and administrative complexity. The goal of the Patient-Driven Payment Model (PDPM) is to ensure that payments under the SNF PPS accurately reflect both resident needs and resource utilization. The final rule talks about CMS monitoring trends of changes such as decrease in therapy being provided since the payment system is not therapy driven like the current system. Also, there will be a new assessment called Interim Payment Assessment (IPA) with the new PDPM system. The IPA is an optional assessment that will be a way to change reimbursement from the 5-day Prospective Payment System (PPS) assessment. 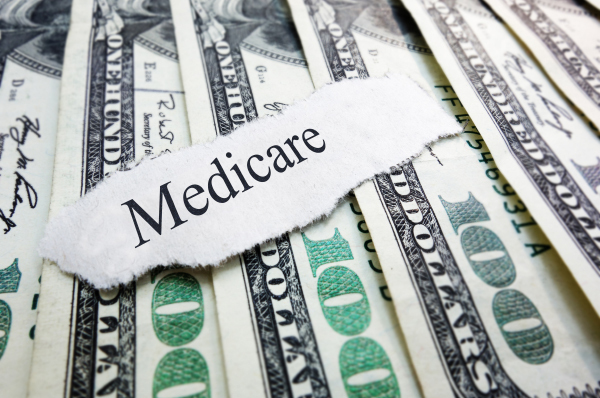 The 5-day PPS assessment is slated to pay for the entire stay from Medicare A admission to PPS discharge unless a triggering event occurs, and the facility chooses to complete an IPA. If your facility rarely completed significant change assessments in the past and starts completing multiple IPA assessments to change payment after October 1, 2019, this could be cause for an audit. Of course, the IPA could have different criteria to meet than the current significant change in status assessment. We will see if there is a difference when the new draft RAI manual is released in early 2019. The ARD of the IPA will pay from the ARD to the PPD Discharge unless there is an intervening IPA assessment. There are so many new changes coming with the transition from the current RUG IV Medicare payment system to the Patient-Driven Payment Model (PDPM) that LW Consulting, Inc. will be breaking the Case Mix Groups and components into six different sections. One section per month will be discussed with important tips provided. After each webinar, LW Consulting, Inc. will offer options on how to monitor and identify the baseline for your facility and identify the steps to move forward. To learn more about preparing for the PDPM or for information on our upcoming 2019 webinar series, subscribe to receive our monthly LTCAlert .